I write this post while listening to Amy Winehouse songs. I recently saw the documentary simply titled Amy, directed by Asif Kapadia. When I first saw it advertised, I thought it was a bio-pic. I learned later that it was a documentary. I wondered how much of a documentary it could be since her life seemed so short. However, I failed to remember that though her life was short, she lived it during the coming of the digital age. Through footage from friends, family, interviews, performances and the paparazzi along with her own commentary it was an in-depth look into Amy’s life. I was pulled in from the opening footage when she was a teenager, venturing through her rise to paparazzi hounding celebrity status and then to her sad death. During the whole documentary, I found myself thinking maybe the end will be different…maybe she will live. But we all know that on July 23, 2011 a talent, a voice, a rare bird went silent. I didn’t discover or rather appreciate the pint-sized powerhouse until she did a duet with Tony Bennett. I knew of her before then but just thought of her as an odd bird with a soulful sound. During the first scene of the documentary you realize that she was born or rather earned that soulful sound at a young age. I know I will get dinged for saying this but Amy Winehouse story is so reminiscent of Billie Holiday. In addition her unique jazz sound is not like other artist of her period. During an interview on a British talk show she says “they tried to give me elocution lessons.” She laughs that raucous laugh like a seasoned fisherman. Her ex-husband (he is not worth his name being typed) has reportedly and repeatedly stated that he is not responsible for her death. Even though she died of alcohol poisoning and not a drug overdose, I believe he definitely contributed significantly to her untimely death. Her co-dependecy with him and introduction to hard-core drugs as well as bouts of cutting themselves were all part of her downward spiral. The most important of Amy Winehouse inner circle, her parents were blind to her demons of bulimia and alcoholism. In addition her spiral included covering the pain of her paternal grandmother’s death, one of few stable family members in her life. Even her promoter who then became her manager didn’t do right by her when she was alive. Sadly Amy Winehouse death from substance abuse wasn’t the first; the year following her death Whitney Houston died in part due to substance abuse. There is a list of celebrities who like Amy died at age of 27 including Janis Joplin, Jimi Hendrix and Kurt Cobain. For celebrities whose stars are rising it would be great if their inner circle is true and strong enough to stand up to their glow. Entertainer Yasiin (Mos Def) Bey; her best friends; and her last bodyguard seemed to be the most concerned for her…however without support of her family there was little they could change. They were not able to break through or break her away from the cocoon of fame and wealth. Sadly it seemed when she was on a true comeback to herself, she lost the fight and her life. We the world lost a rare jazzy bird. Enjoy this video of Amy displaying her soul-stirring talent. 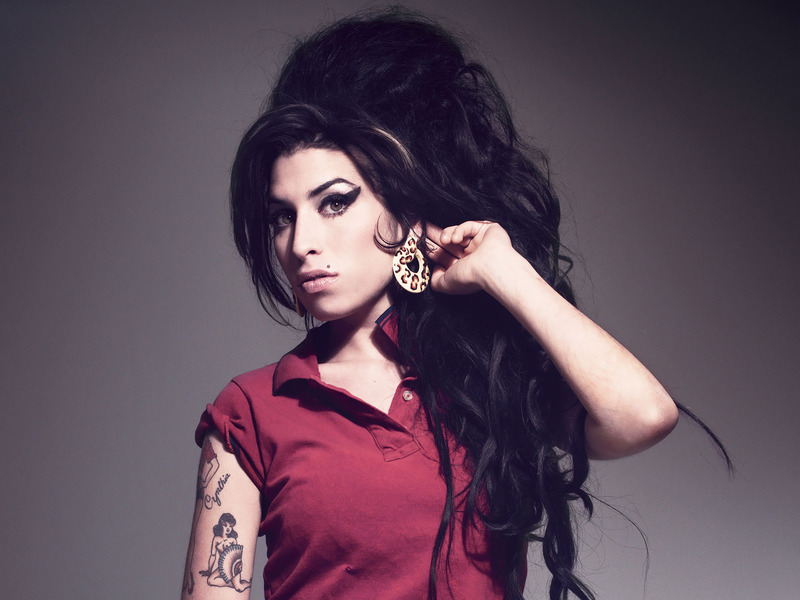 Still hard to believe that the fun loving Amy – with that voice and uniquely written songs – some of us saw in 2003 is no longer here.